What happens in this Davenport basement does not necessarily stay in this basement. In 2012, Deere & Co. engineer Dan Foley began tinkering with computer-aided design software in his home-based workshop with the goal of crafting something tangible. At the time, Foley knew a little about 3D printers since Deere worked with the machines, but he never explored other business opportunities the technology could provide. 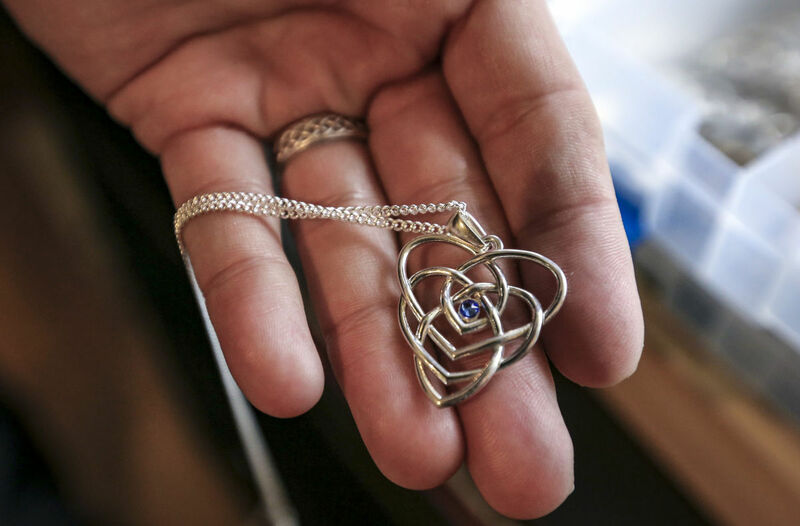 After conducting a bit of market research, the married father of three noticed a demand for 3D-printed jewelry, and went to work. Foley began sending digital models to Shapeways, a New York City-based company that offers 3D printing services. While many of his first attempts were rejected, the techie kept at it, shifting his designs to comply with 3D printing standards. I started out in the summer of 2012 not knowing really anything about 3D printing or jewelry design or internet marketing or anything really. I try to remember that I basically started from nothing and keep a humble view of this business. I do these year-end recaps more to keep myself motivated than to try to brag. However, 2015 was a really good year so it’s hard not to brag a little. I made a conscious effort this year to reach out and collaborate with others in a mutually beneficial way. I reached out to other jewelry designers and people getting into modeling. I would send them jewelry. They’d post pictures of themselves wearing it to social media or web sites. Then I’d also post the pictures to my various sites to return the favor and gain them a little exposure. This got my jewelry in front of different audiences. Many of these people I collaborated with provided me with great, great pictures that I could use on my own web sites and social media. This was something I think I sorely needed. 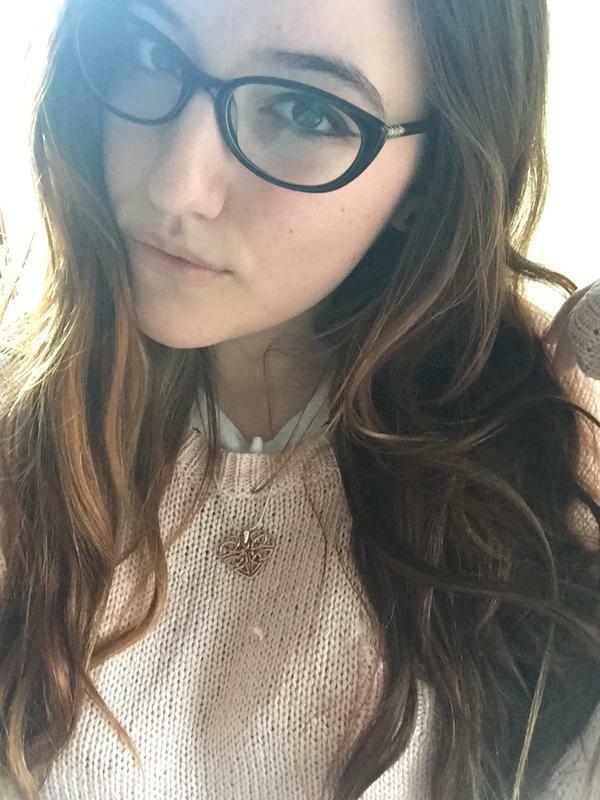 Before this year I just didn’t have many pictures of people wearing my jewelry. A lot of this interaction and outreach happened on Instagram. I just joined Instagram in January of this year. Through outreach and interaction I was able to gain over 2,100 followers. It’s hard to know how much traffic was driven to my site from Instagram, but it had to have helped. It was also a source of some new ideas. A few of the custom pendants came from customers I met on Instagram. One really neat moment from this year was I was searching Instagram for topics related to Celtic jewelry. 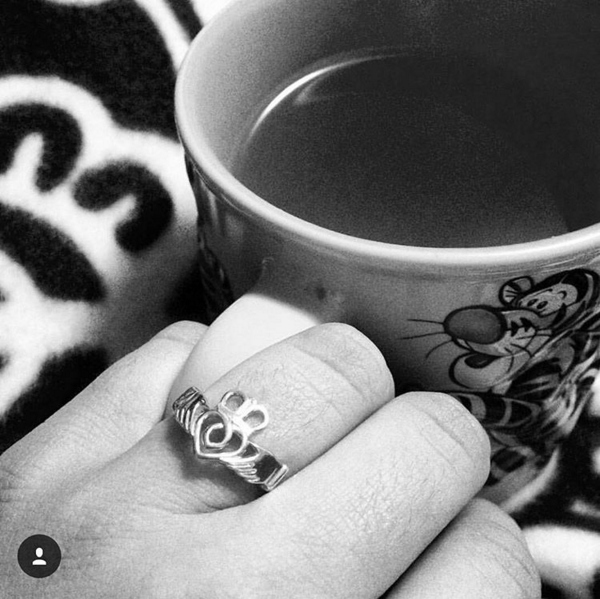 I came across someone who had posted a picture of one of my Claddagh Ring designs. It turned out that it had been used as an engagement ring. At this time last year I spent a lot of time trying to optimize my web site for search engines. I settled on the WordPress layout that I currently have. The Yoast SEO plugin has been indespensible for this effort. I did a lot of keyword research at the same time which I think helped in some regards. Another thing I did during my outreach was building some backlinks to my site. I think that probably had a big impact on where I ranked in searches. I also tried to blog on a somewhat regular basis, although that proved to be hard at times. It’s hard to know though which of these SEO tactics worked, or if it was a sum of all of them. The biggest traffic driver to this site are people searching for the meaning of various Celtic symbols. In any case, the traffic to this web site nearly tripled in 2015 over 2014. Some of that is to be expected since in 2014 this site was still in its’ infancy to a large extent. In January and March I did a couple giveaways that drove a ton of traffic. After doing those giveaways my traffic hit kind of a bottom in April. The thing that surprised me though was that traffic increased every single month after that this year. By October, I was getting more organic traffic than I did in January or March which were boosted by giveaways. My total number of sales increased by 42% over last year. To me that is really important but it doesn’t tell the whole story. Last year I did a lot of craft fairs that really contributed a lot. About 40% of my sales last year were at those craft fairs. This year, I only did one craft fair and barely made any sales. I focused all my energy on online sales. My online sales increased by more than double (237%!). So this more than offset the lack of sales at craft fairs. The main reason for this was that I opened an Etsy shop. Last year I was not on Etsy at all, which was probably an oversight. I tried Etsy back in 2012 and 2013 and did not make a single sale. So I gave up on it for a while. Someone recommended I give it another shot. I got on Etsy again in January and started to make some sales. In all, Etsy accounted for a little over half of my online sales this year. The number of sales through my Shapeways shop was up only slightly, but my revenue from Shapeways was up 83%. People were buying more expensive items. A big chunk of this increase was due to three ring sales where the customers purchased the rings in solid gold. Finally, the number of sales from this web site was still pretty modest. It only accounted for about 15% of all my sales, but I did double the number of sales from my web site over last year. This shouldn’t be a surprise since traffic increased so much. My ultimate goal is to keep growing sales through this site. One thing I came across during all my interactions were bangle bracelets. I’ve already made three of my designs available in a bracelet version and if it proves to be popular I may offer more. I finally got on Instagram earlier this year and I’ve been blown away by it for a number of reasons. It’s done a number of things to help my little startup business grow a little. Here I will share some of my experiences with it. The interaction I get from Instagram is way, way more than any other social media platform I’ve tried, and I’ve tried a lot of them. I get a small amount of interaction from using hashtags. For me, the best one seems to be #3dprinting. There is a growing community of 3D printing hobbyists and a lot of them are searching Instagram for people also doing things with 3D printing. However, I get much more interaction from searching hashtags relevant to my business and interacting with people. Anything related to the various Celtic symbols, or Irish topics work really well for me. Ocasionally I will find people with pictures of tattoos of the same symbols that I’ve used in my designs. Once, bizarrely, I found someone had made a tattoo out of my Leaf Pendant design. This is a totally original design I made from scratch. It was really surreal finding it on Instagram. They told me they found it through Google Image Search, and liked it so much they got a tattoo of it. I will interact with the people I find through hashtags by liking and commenting on some of their pictures. They will usually return the favor and do the same to some of my pictures as well. I don’t get this kind of interaction with Twitter, Facebook or Pinterest as much. Sometimes I will follow them or they will follow me, or both. Mainly through this kind of interaction I now have over 1,900 followers. I also try to interact with the people I am already following. Since I am following over 1,000 people, it can be difficult to stay on top of it. But I try. I think this is also pretty important, but hard. What I’ve found works is checking my feed, and when I see a picture I like I will check out the rest of the person’s feed. I’ll look at their other recent pictures and like some of those as well, and maybe leave a comment or two. This way I can keep some level of interaction with the many people I’m following. If I waited until I saw each of their pictures individually in my feed, I might never see all of them. And again, if I go and like 3 or 4 pictures from someone I’m following, often they will will return the favor and check out my recent pictures and like a few in return. Again, this kind of back-and-forth or interaction just seems to be part of the culture on Instagram. There have been a few people who found my things on Instagram who loved my designs. I have made a few sales from people who fell in love with one of my pieces and had to have it and bought it on the spot. This is rare, but it has happened a couple times. I can’t say I’ve had this happen at all though on other social media sites. I have found people that like my designs but I can’t recall a time when someone went and bought something right then after seeing it on Facebook or Twitter for example. Another few people have discovered my designs, and requested custom designs. They looked over my things and I didn’t have quite the one they were looking for. They reached out to me and asked if I could make one for them. Some of the requests were Celtic-related and others were not. Most of my new designs this year were from people who asked for custom designs on Instagram. So instead of trying to figure out what designs I should make that customers might like, my customers actually told me exactly what they wanted. No guessing involved. It’s also likely that others will like these designs if one person already does. 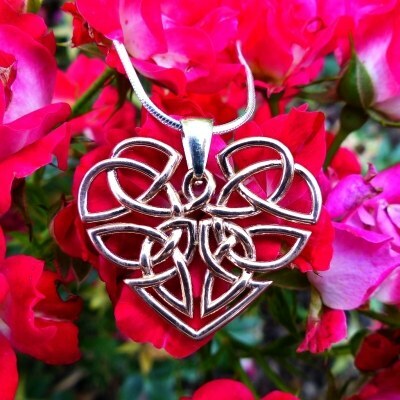 One that came about this way was the Celtic Heart Knot pendant. One Instagram user requested that as this custom design. I made it for them and they really liked it. It’s still a fairly new design but it the popularity of it is promising. Not only did Instagram give me product ideas, but I also used Instagram to market these products after I made them. So Instagram actually completed a product cycle for me, from idea, to creating, to marketing and selling. In a case or two, the person who had it custom-made bought the item posted a picture of it. That got it exposure to their followers, which is really nice, even if the audience might be relatively small. I started looking for opportunities to collaborate with people on Instagram that might have a bigger audience. Because of the community and interactive nature of Instagram, there are many, many users with 10,000, 20,000 and even 100,000 followers. Some call these people “influencers”. I started looking for people that had shown interest in Celtic or Irish-related things, that had a lot of followers, and that had a good level of interaction on their posts. I even found some that had posted pictures of themselves wearing Celtic jewelry, or something very similar already. When looking for an Influencer, I put more importance on how many comments their pictures get. It really speaks to the level of engagement when a picture has 100+ comments. There are some people that can get 500 likes on a picture but zero comments. I’d go with the one with more comments almost every time. It means their followers are interacting a lot more. Clicking the button to like a picture is good, but more passive than participating in a conversation. In any case, I highly recommend trying out Instagram if you are selling products like this. I had known about “rapid prototyping” for a while, which is what 3D printing was called for many years. My mind was blown though when I discovered Shapeways and saw how inexpensive 3D printing had become in 2012. 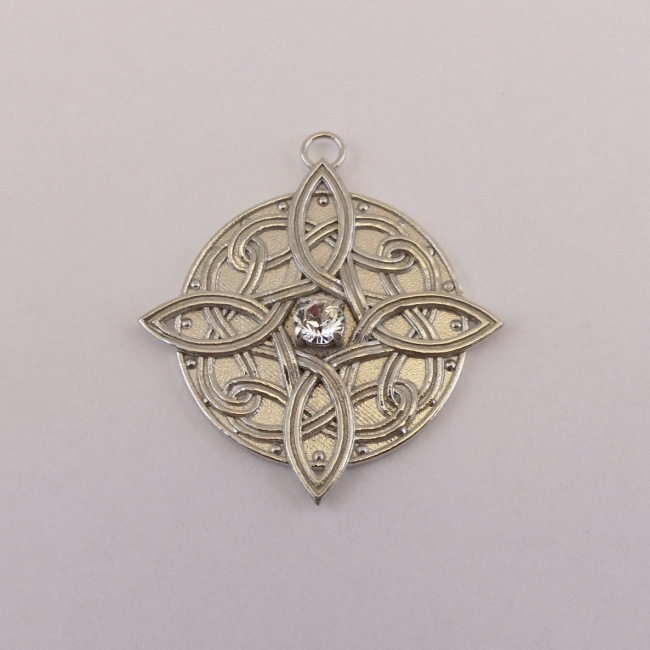 Part of the reason I got into Celtic jewelry design is because I wanted to learn about 3D printing. The hype around 3D printing was sky high as recently as a year ago. Amazing new products that could only be made with 3D printing were everywhere. Clothing designs made with 3D printing were in fashion shows. People were 3D printing food. 3D printing stocks were sky high. It seemed like the potential for this technology was limitless. Since then the stocks have tanked and enthusiasm has waned. What happened? Nothing has really changed. The hype just got way ahead of the technology. 3D printing is still going to change the world eventually. It still may be many decades before all of us have a 3D printer in our house that we use to print products rather than buying them in a physical store or online retailer. Hobbyists and tinkerers will largely be the ones still buying them for personal use for a while. This is normal for a new technology. Look at another technology that everyone was supposed to have in their home: personal computers. Computers existed in the 1960s. It wasn’t until the 1970s that the very first mass produced PC models were introduced. The only people using them at that time though were some businesses and hobbyists. I can remember way back to the 1980s when they started to spread a bit. Even then, this was still a fairly “early adoption” stage. It wasn’t until really the advent of the internet that really made them take off. The internet was the killer application that made everyone that didn’t already own one, want to buy one. The entire cycle took 30 to 40 years to run its course. 3D printing is basically in that early stage that PCs were in the 1970s or maybe early 1980s. It could easily be another 10 or 20 years before everyone decides that they want one. Like the PC, some product may come along that can only be made with a 3D printer that everyone might suddenly want. Time will tell. This article talks about the “hype cycle” around new technologies like this. We are in the trough after the big peak on the graph. Ahead is slow and steady growth for many years to come. In the meantime, 3D printing is going to make a bigger and more immediate impact in manufacturing. 3D printing has already been used for years by industry just to make mock-ups or prototypes of new products. 3D printers are finally reaching the stage where the quality is good enough to make products right out of the printer. The process that 3D printing seems to be replacing fairly often is casting. Casting metals or plastics is a pretty efficient and inexpensive process today, but it has drawbacks. Casting only makes sense if you are going to produce big quantities of identical products, because you have to buy a mold. Molds can vary in price. In cases where molds are expensive, you need to buy large quantities to spread the cost of the mold over a large number of products. Then, because you just mass produced a large number of products, you have to carry all that inventory. Also in the flowchart I put a couple secondary operations. It is unusual for cast products to come directly out of the mold and not require some kind of secondary operation. And if you made 1,000 items in the casting step, now 1,000 items are waiting in the queue to go through the next step in the process. 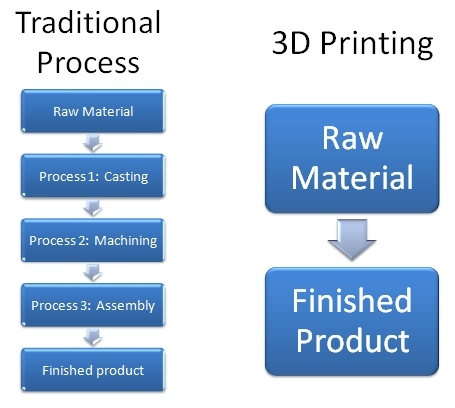 3D printing is kind of the Holy Grail of lean manufacturing. It eliminates the need for a mold. So there is no need to buy a huge quantity of products to offset the cost of the mold. You can now make items one at a time, made to order. There is no more inventory to carry. The entire goal of lean manufacturing is to eliminate inventory at every step in the process. Inventory is money, and therefore waste. Today a lot of 3D printed products require secondary processes that I did not show. However, the need for secondary operations will be reduced as 3D printing quality improves. Also, since you are only making one piece at a time, at most there will be one piece waiting in the queue at that secondary operation, not 1,000. Nike’s 3D Printing Ramp Up: Which Companies Will It Partner With? Nike (NYSE:NKE) announced last week at its investor day that it’s turbocharging its 3D-printing efforts. The athletic shoe and apparel behemoth has been increasingly embracing the innovative technology for prototyping. However, several comments from top management suggest that the company intends to use 3D printing for general manufacturing of new cushioning systems, and for the production of custom cushioning systems tailored to an individual’s needs. When 3D printing becomes better at making final products, then the need for storing huge amounts of products in warehouses will diminish. Imagine Amazon in the distant future. Instead of needing to have enormous warehouses full of products with elaborate storage and retrieval systems, they could in theory just have several 3D printers that make products to order. Perhaps they would need to store the raw materials required for the 3D printing process, but this is much, much simpler (and far cheaper) than storing thousands and thousands of finished products. The other application that could be impacted greatly is the service parts industry for cars, tractors, and other equipment. Let’s just look at cars. Right now, automotive companies have to store service parts in a warehouse. They could sit there for years, just waiting for someone that needs one to order one. This is very expensive. For a new part, they don’t know exactly how many are going to sell, so they have to make an educated guess at how many to stock. They also have to decide how many years they are going to store them. If you happen to own an older car, you may have a really hard time finding certain parts, because they only decided to store the parts for 10 years after the model went out of production, for example. If you could use a 3D printer to make service parts to order, all these problems are eliminated. No need to guess how many parts to store because they will all be made to order. No need to decide how many years to store the parts for, because the file will reside on a hard drive, ready to be made by a 3D printer at any time, even decades from now. If you own an old car then you would not have a problem obtaining the parts you need. Jay Leno owns a 3D printer that he uses to make parts for his antique car collection. There’s no reason this idea couldn’t be replicated on a larger scale. People who are bearish on 3D printing stocks may want to re-think their position (full disclosure: I own a few shares of 3D Systems Stock and Stratasys stock). Even if every house doesn’t own a 3D printer someday, they will still be widely used by industry. The most important research going on right now isn’t necessarily in making 3D printers faster and better (although that effort will never really end). The important research is in materials technology, and coming up with new materials that 3D printers can use to make products faster, sturdier, and more attractive. The materials used by 3D printers will likely be proprietary. Whichever company can come up with the best materials will likely win. A 3D printing company may sell only one 3D printer to a company like Nike, but they will be providing the material that the printer needs to make those shoe cushions for many years to come. 3D printing is here to stay. It’s just going to take a bit longer for it’s full impact to be felt to individuals. Smart manufacturing companies should be trying to figure out how to incorporate this powerful technology right now.